To get a bird’s-eye view of ancient sites, archaeologists often turn to planes, helicopters and even hot air balloons. But today researchers have access to more agile and less expensive technology to map, explore and protect archaeological treasures: tiny airborne drones. In Peru — the home of Machu Picchu and other amazing ruins — the government is planning to purchase several drones to quickly and cheaply conduct archaeological surveys in areas targeted for building or development, according to Reuters. 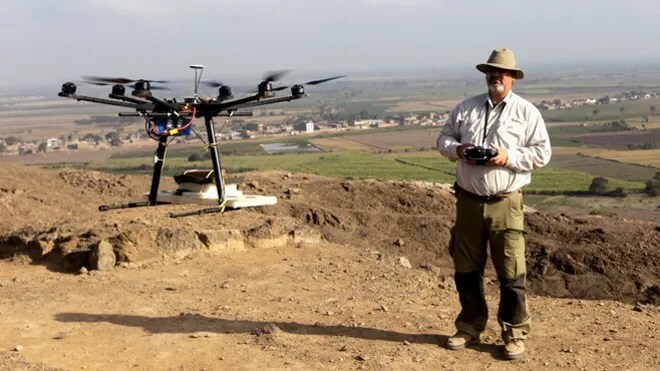 Archaeologists working in the country have already been using small flying robots to study ancient sites, including the colonial Andean town Machu Llacta, and the San José de Moro burial grounds, which contain the tombs of Moche priestesses. Some researchers have even built their own drones for less than $2,000, Reuters reported. Cheap and effective drones could be a boon for Peru’s culture ministry, which has a modest budget and is tasked with protecting more than 13,000 archaeological sites that are threatened by looters, squatters and illegal mining, according to Reuters. Elsewhere robots have enabled archaeological discovery. A remote-controlled robot the size of a lawn mower recently found burial chambers inside the Temple of the Feathered Serpent, an ancient pyramid in Mexico. And in Russia, researchers used a miniature airborne drone to capture images that could be used to create a 3-D model of an ancient burial mound.